Xiaomi Mi A1 Gets The Android 8 Oreo Update - Here’s How To Get It! The Mi A1 is the first Android One smartphone from Xiaomi and the update is important for the Android One initiative to carry on. Xiaomi has announced the Android 8.0 Oreo update for their first Android One smartphone, the mid-range Xiaomi Mi A1. This is the first collaboration between Xiaomi & Google under the Android One initiative. 2017 has been a great year for Xiaomi, and they closed 2017 by updating the Mi A1 to the latest Android 8.0 Oreo. This makes it the cheapest smartphone, currently available in India, to have the latest version of Android. Xiaomi released the Oreo update for Mi A1 on the last day of 2017 following a beta launch early last month. 2 How To Get Android 8 Oreo Update For Your Mi A1? 3 New Update, New Features! After completing the beta testing, Xiaomi has rolled out the stable version of the Android Oreo update for the Mi A1. It is also one of the first phones under Rs. 15,000/- to run the latest version of Android 8.0 operating system. Xiaomi had promised an Oreo update for Mi A1 by the end of 2017 and they kept their word, as the company has started to roll out the full update from December 31, 2017. It is a phased roll-out. So don’t worry if your phone still hasn’t received the update notification. How To Get Android 8 Oreo Update For Your Mi A1? The new Android 8.0 Oreo update for the Mi A1 handset will add the December 2017 security patch update along with new Oreo features to Xiaomi’s first Android One smartphone. The update is around 1.1GB, so it is advisable to update over WiFi. Also, if you haven’t got the Oreo update notification yet, head over to your mobile settings to manually check if the Oreo update is available for your phone. Don’t worry if it’s not available yet. Your phone will probably get it in the second or third phase. Alternatively, Xiaomi has also uploaded the complete stable Android Oreo ROM to its official Mi forum. So if you don’t want for the OTA update, head over there to download and install it manually. Just make sure that your Mi A1 is updated to Android version 7.12.19. 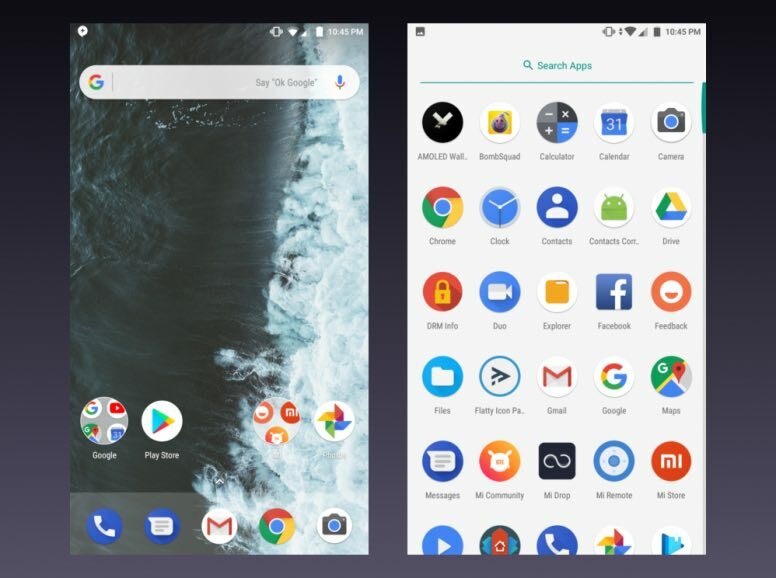 The Android Oreo experience on the Mi A1 is the closest one you can get to stock Android on Google’s Pixel smartphones. 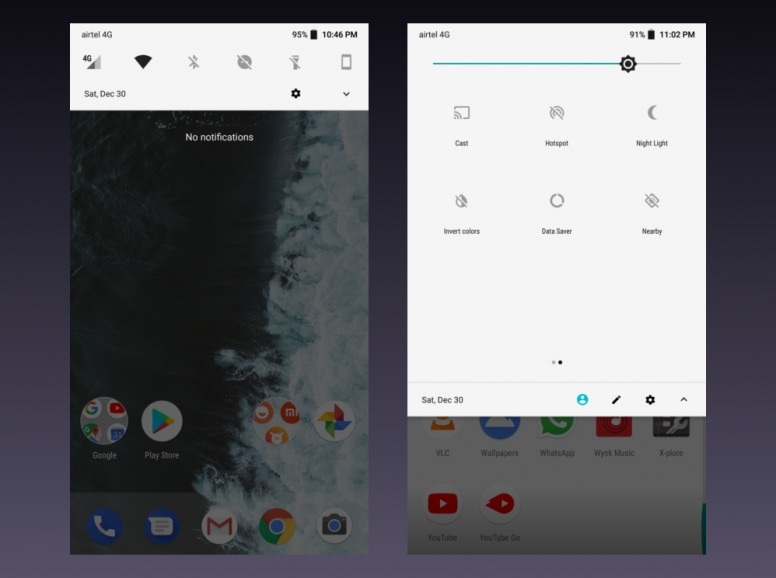 There are many changes in the new update like better notification management, notification dots, picture-in-picture mode for apps like Google Maps, a fully redesigned settings menu, brand new emojis and more. The Xiaomi Mi A1 is part of Google’s Android One programme and it runs stock Android instead of Xiaomi’s own custom MIUI. Here are 10 major changes to the UI which will be available with Android Oreo on the Mi A1. Xiaomi has made some improvements to the App Drawer. 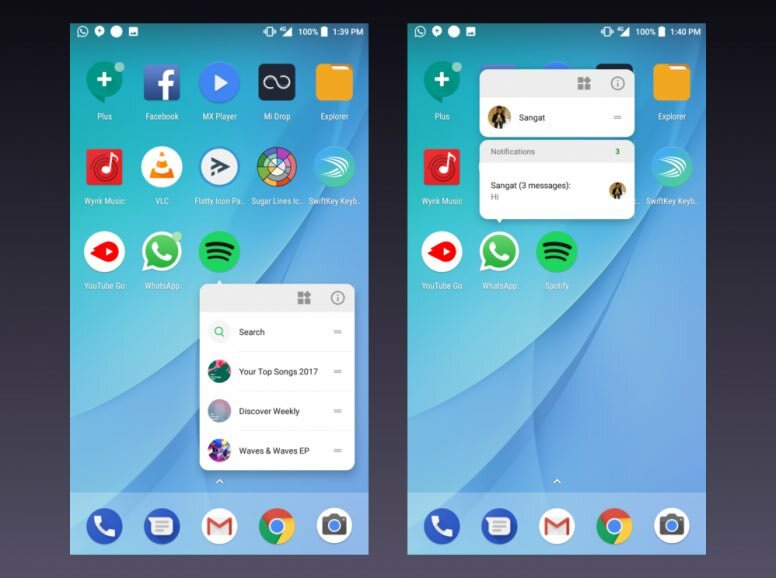 Users can now swipe up anywhere on the screen to open the app drawer. The Android Oreo update will bring a new ‘Light UI’ for the notification shade and quick toggles on the Mi A1. This needs to be enabled from the settings as it is not enabled by default. Xiaomi has introduced ‘Notification Dots’ for apps with the Android Oreo update. If an app receives a notification, users just have to long press on it. 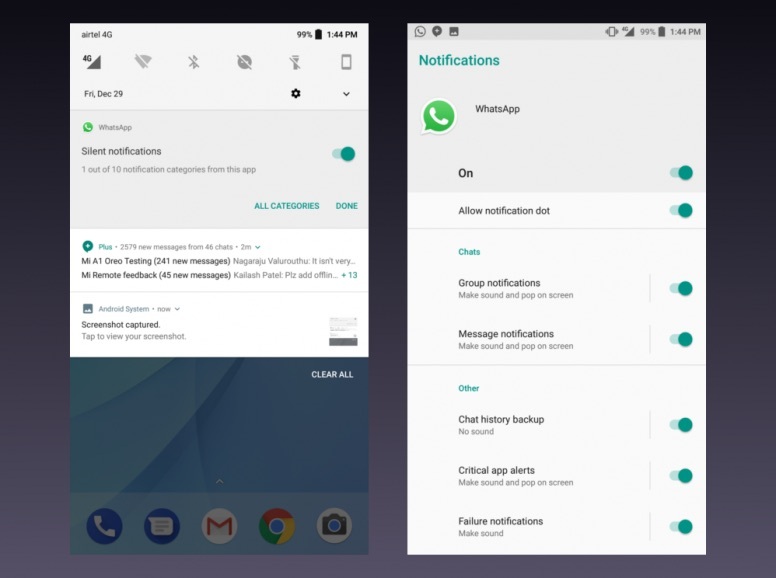 A small menu will pop up which contains the latest notifications and shortcuts along with app info on top. 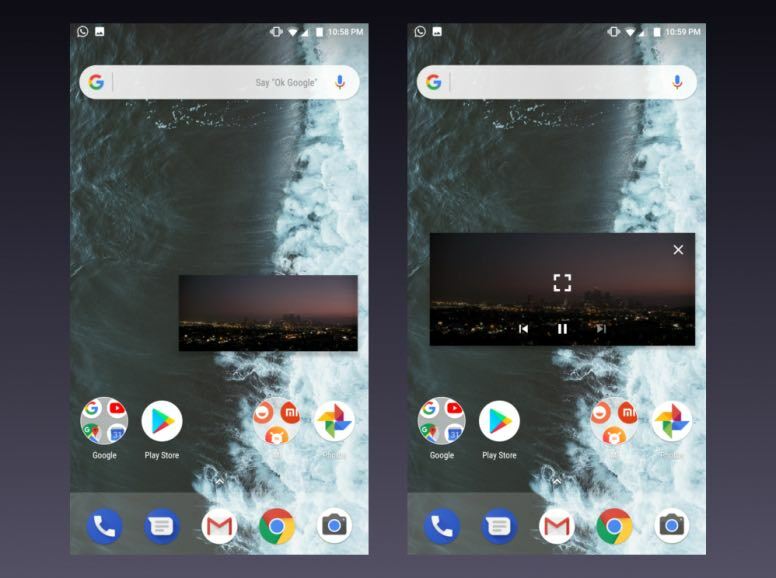 Oreo update will bring Picture-in-Picture mode for the Mi A1. Currently, only VLC and YouTube apps support this feature. 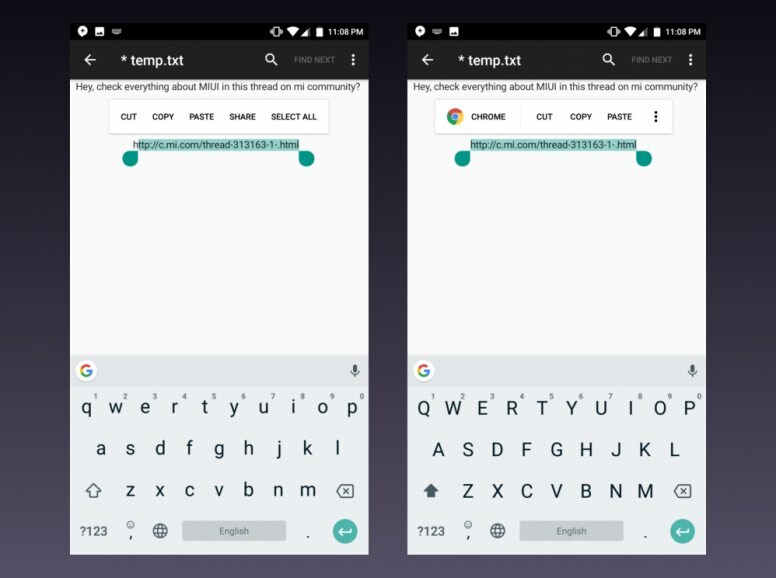 But future updates will see this working with more and more apps. 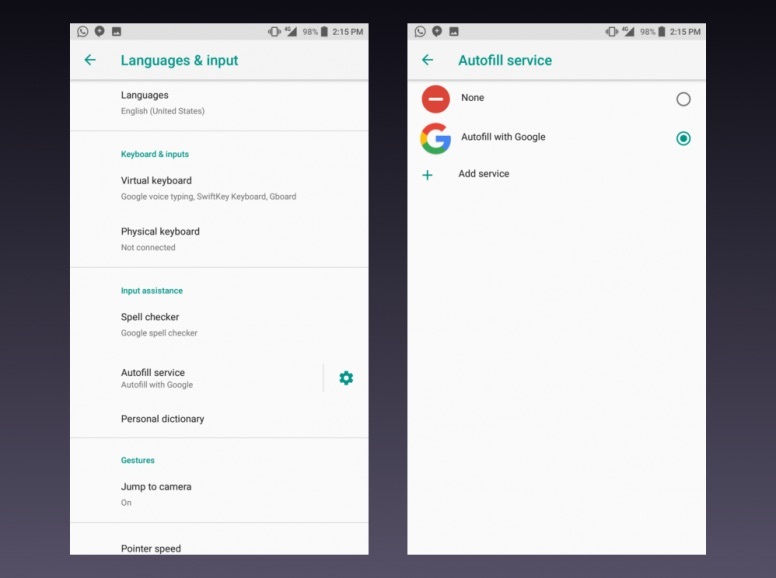 The Autofill framework will come to Mi A1 with new Oreo update. This feature will allow apps to create and maintain their own list of auto-fill data, and populate it whenever needed. The Notification Channels on Mi A1 will allow the apps to categorise, prioritise and adjust the visibility of each type of notification posted by the app. Users will also be able to snooze notifications. 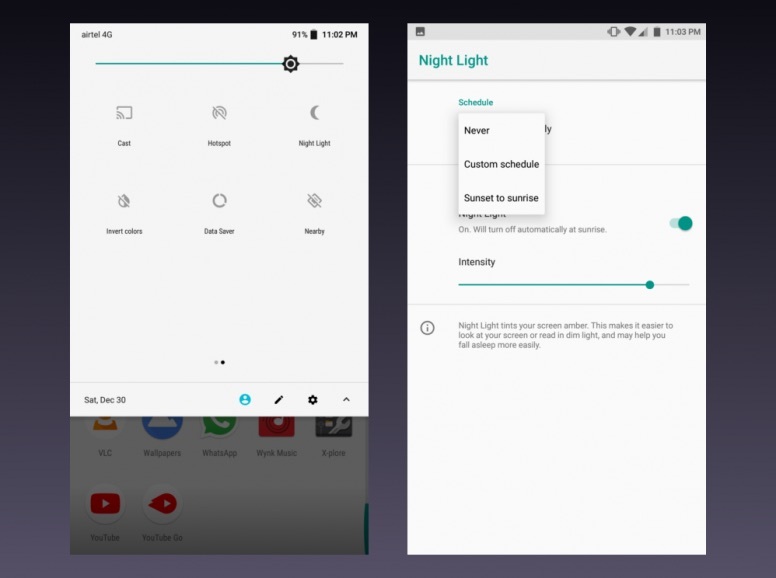 The ‘Night Light’ mode will also be available on Mi A1 with the Oreo update. This cuts out the blue light emitting from the display so that it puts a lesser strain on the users’ eyes. This feature can be manually activated from settings or it could be scheduled to turn on and off at fixed times throughout the day. The ‘Smart Text Selection’ feature on the Mi A1 shows a contextual menu depending on the type of content that is selected. So the phone will now offer to dial a phone number or offer directions on Google Maps whenever a restaurant or a business name is highlighted. The battery app in Android Oreo now carries a refreshed look with an easier-to-read battery graph. 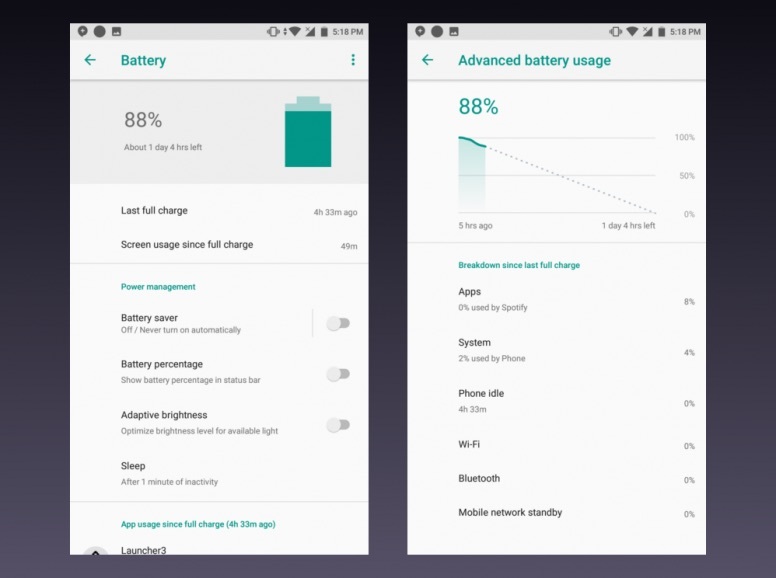 The app will now also display the most frequently used battery-related options like Adaptive Brightness or Battery Saver on top. The new ‘Rescue Party’ feature of Android Oreo will apply a series of quick fixes whenever a persistent app crashes continuously or if the phone is repeatedly rebooting. This is done to minimise the chances of a boot loop from happening.